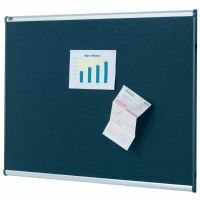 � Black embossed foam boards securely hold documents in place. � Adds a modern look to any office wall. � Silver aluminium frame provides sleek styling and maximum durability. � Self healing surface eliminates pin holes so the board appears new.